Geneva, Switzerland, 3 Decmber 2018 - MSC Cruises, the Swiss-based world’s largest privately-owned cruise company and market leader in Europe, South America and the Gulf, revealed today that its upcoming 2019 World Cruise will feature an all-star cast of uniquely international chefs sure to make for a one-of-a-kind gourmet dining experience while on board. 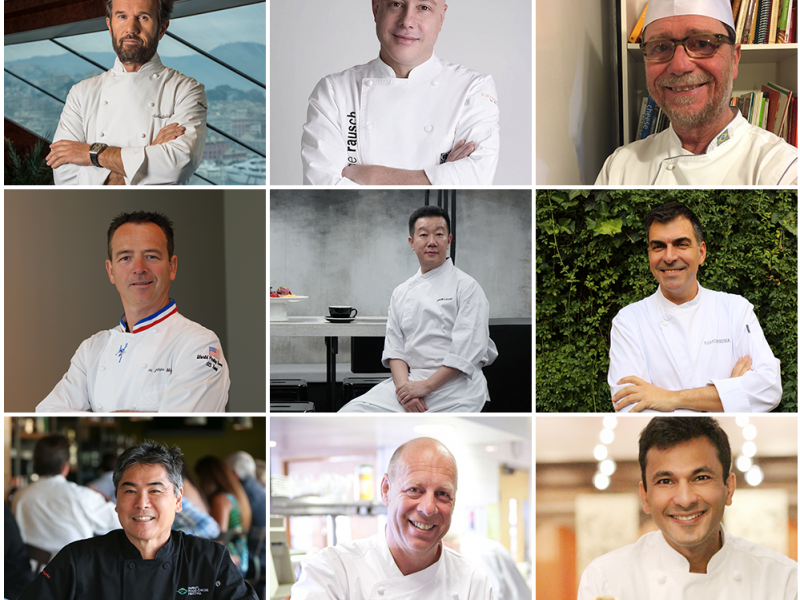 This includes current as well as former three-, two- and one-star Michelin chefs, chefs of the year, award-winning cookbook authors as well as recipients of other international culinary recognitions. Each acclaimed chef will develop a three or four-course menu to be experienced and enjoyed by guests over the course of a single dedicated special evening, each reflecting the chef’s own particular skill and flair, while Pastry Chef Jean-Philippe Maury will prepare a special dessert. Most of the chefs will embark on board for a section of the cruise together with a select team to join the ship’s on-board chefs to work together in the preparation of their personalised creations. During these uniquely exclusive meals, the chefs will then be on hand to greet and interact with guests in person while they enjoy their delicious dishes. While the 2019 World Cruise is long sold out, for those who wish to join the ship for her next journey around the globe, there are still a few choice cabins available on the 2020 World Cruise departing 5 January 2020. • Salalah, Oman – multiple waterfalls, exotic lush flora and unusual animals make this stop hard to forget. Renown Sydney-based Chef Serge Dansereau will join MSC Magnifica in mid-March, where he will entrance guests with an exclusive quintessentially Down Under menu of yellowfin tuna tartar, Lamb loin, potato gratin and a chocolate gateau with lemon curd and hazelnut crumble to finish. 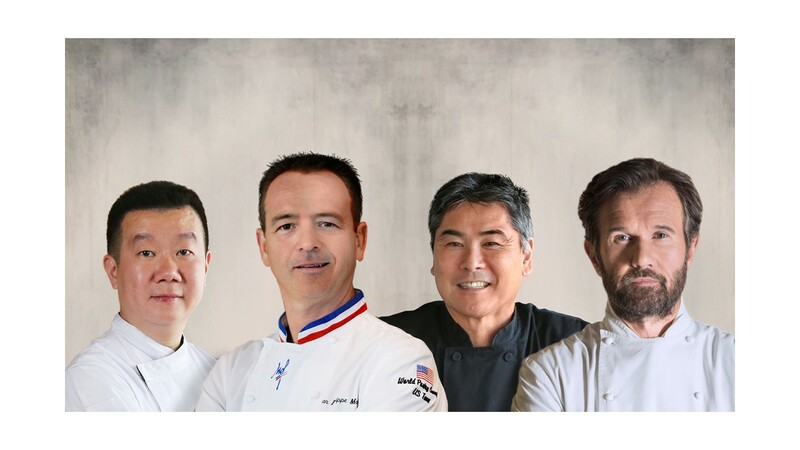 Finally, Italian Chef Carlo Cracco – another long-time MSC Cruises partner - will join the ship as the final chef in this incredible line-up, as she makes her way back to through the Mediterranean and returns to Italy. The details of the final, one-of-a-kind dining experience featuring Carlo Cracco will be announced separately in due course. Between each of these gustatory delights, MSC Cruises’ own star Corporate Chef Francesco Laforgia and Corporate Pastry Chef Bruno Zaza will delight guests with a unprecedented 237 different menus for the main restaurants, including thematic dishes that are linked to the itinerary of the ship and will also be served at the Sahara Buffet. The first chef to sail on this unique adventure is the Spanish chef Ramón Freixa, who has been collaborating with MSC Cruises since March 2018. In his cuisine there is daring, innovation and wisdom, as well as impeccable technique and a number of visual and sensory tricks. A blend of tradition and avant-garde, madness and common sense in perfect harmony. Chef Freixa has restaurants in Madrid (including Ramón Freixa Madrid at Unico Hotel with two Michelin Stars) and Cartagena de Indias (Colombia) as well as a signature restaurant 'Ocean Cay' on board MSC Seaview; all of them different in concept, but united by Mediterranean origins. MSC Cruises will also welcome a new restaurant concept, 'HOLA Tapas Bar by Ramón Freixa' on board the upcoming MSC Bellissima. Named one of the Deutsche Welle News’s “10 Iconic Chefs of All Time,” alongside Julia Child, Jamie Oliver, among others; Chef Vikas Khanna found his passion for gastronomy at a young age. His grandmother inspired his love of cooking, leading him to cater for weddings and family functions by the age of 17. His culinary path led him all the way to the Flatiron district in New York City, where as chef of Junoon, the restaurant received a Michelin star for six consecutive years. He has served as a judge on both MasterChef India and MasterChef Junior, as well as appearing on Hell’s Kitchen and the Martha Stewart Show. He has also served as the talent behind the film series Holy Kitchens and written more than 25 cookbooks. Carlo Cracco began his professional career in 1986 at Gualtiero Marchesi in Milan, the first Italian restaurant to achieve three Michelin stars. After spending three years in France to learn the secrets of French cuisine under the guidance of Alain Ducasse (Hotel de Paris) and Lucas Carton (Senderens, Paris), Chef Cracco returned to Italy to become the head chef of Enoteca Pinchiorri in Florence, which quickly won three Michelin stars under his leadership. A few years later, he accepted the invitation of the Stoppani family, owners of the most famous gastronomic emporium in Milan since 1883, to open the Cracco-Peck restaurant as Chief Executive in 2001. Since July 2007, Carlo Cracco has been the Chef Patron of Ristorante Cracco. In February 2014, Carlo Cracco opened the bistro and cocktail bar “Carlo e Camilla in Segheria”, which was ranked best restaurant in the world by Wallpaper* Magazine in 2015 In 2016, Carlo opened Ovo by Carlo Cracco in Moscow, a gastronomic restaurant inside the South-Korean Lotte Group’s hotel in the city. In 2017, he and Lapo Elkann opened Garage Italia inside the building of a former Milan service station, bringing fine dining and automotive excellence together. In February 2018, Ristorante Cracco moved to the Galleria Vittorio Emanuele II in Milan. Since 2013, MSC Cruises has collaborated with Chef Cracco on numerous projects, including DOREMI Chef for our youngest guests and creating signature dishes for the rest of our fleet. Award-winning pastry chef Jean-Philippe Maury is a two-time World Champion in pastry and has also received the prestigious Meilleur Ouvrier de France (MOF) in pastry. He has had incredible success in the United States, where he has appeared on multiple shows on the Food Network, including Fabulous Cakes and The Next Iron Chef, and has worked as Executive Pastry Chef in multiple Las Vegas resorts, where he also had pastry shops in both the Aria and Bellagio Resorts & Casinos. Currently, Chef Maury is bringing desserts to the 21st Century, with his unique iDessert shop in San Diego, California, where guests can create their own desserts. 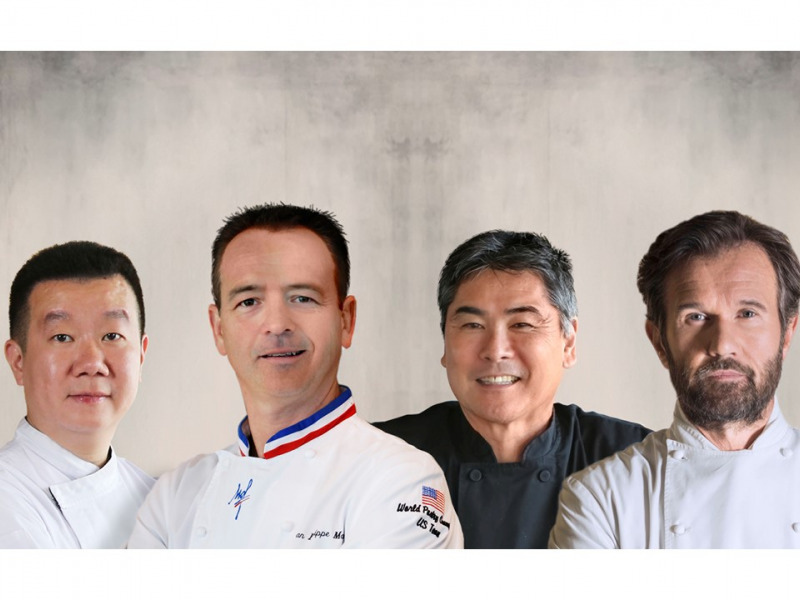 The French-born Chef Maury is a long-time partner of MSC Cruises, with signature chocolateries and gelaterias on board MSC Meraviglia, as well as the upcoming MSC Bellissima. Chef Roy Yamaguchi is an American chef, restaurateur, cookbook author and television personality. He is famed for proudly representing his Japanese heritage through impeccable dishes, using only freshest ingredients. He is the founder of 30 Roy’s Restaurants, in¬cluding 28 in the United States, one in Guam and one in Okinawa, Japan. Yamaguchi’s numerous accolades include the prestigious James Beard Award. He has host¬ed six seasons of the PBS-TV show, Hawaii Cooks with Roy Yamaguchi, seen throughout the US, as well as in over 60 countries. He has also published four culinary cookbooks. Chef Yamaguchi has been working with MSC Cruises since MSC Seaside first touched the sea, where his signature Asian Market Kitchen seamlessly blends traditional Asian flavours with American favourites. A second Asian Market Kitchen debuted on MSC Seaview in June this year. Creative combinations of modern Chinese dishes and classical Chinese provincial food are a signature of Chef Jereme Leung’s cuisine. Highly respected by numerous international food critics, Chef Leung is an expert in all four schools of Chinese cooking – dim sum, barbecue, wok cooking and knife work and received the prestigious Five Star Diamond Award in 2000 and 2008 from The American Academy of Hospitality Science, naming him one of the “World’s Best Chefs.” He has also appeared as the Chief Judge on MasterChef China. MSC Cruises has been working with Chef Leung since 2015, when they first collaborated on menus for MSC Lirica. He has previously created special menus for main restaurants on our ships and has a signature hot pot restaurant, Sea Pavilion, aboard the Asian-based MSC Splendida. Chef Allan Vila Espejo is well-recognised in Brazil for his popular 15-year stint on the television programme Chef Delights and his more than 10 bestselling cookbooks. His 30+ years in the culinary arts have solidified his position as one of Brazil’s top chefs, in addition to his 15 restaurants throughout the country that he operates with his partner Andrea Conte. A native of Colombia, Chef Rausch is best known for his seven restaurants throughout Colombia and Costa Rica, as well as his participation as a member of the jury on MasterChef Colombia. He is also the publisher of a number of well-received cookbooks, including Criterión: Los Hermanos Rausch en la Cocina, which was nominated for a Gourmand World Cookbook Award. French-Canadian Chef Serge Dansereau came to Sydney, Australia in 1983, where he began work at the newly built The Regent, which is consistently voted one of the world’s best hotels. After only one year, Chef Dansereau was appointed Executive Chef of Kable’s in the hotel and led the restaurant to legendary fame, leading to a seemingly endless list of awards. These included the prestigious Sydney Morning Herald Good Food Guide “Chef of the Year” award, as well as the Sydney Morning Herald Special Award for Excellence. In 1999, he became a partner and Chef at The Bathers’ Pavilion, and the sole owner since 2003, which he has helped transform into one of Sydney’s most highly acclaimed eateries. He is the author of numerous cookbooks and the host of the Chef’s Table dinner experience at the Bathers’ Pavilion.